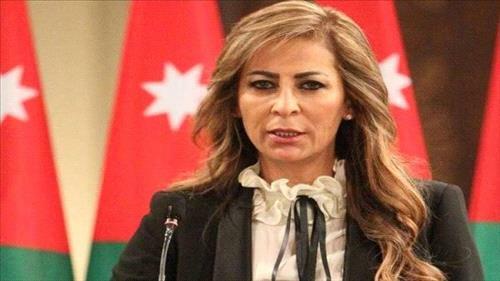 AMMONNEWS - Minister of State for Media Affairs Jumana Ghunaimat Thursday condemned the Israel's adopting of the so-called 'Jewish Nation- State' law passed by the Knesset. The minister, who is the Government Spokesperson, said the bill contravenes the norms of the international law. She said the racist law turns us away from the comprehensive peace option in the region and would fuel extremism and violence. The minister also called on the international community to assume its legal, political and moral responsibility and to take urgent action to stand against the newly adopted law. The two-state solution, which ensures the establishment of a sovereign Palestinian state with East Jerusalem as its capital, is the only just and sustainable solution to end the Palestinian-Israeli conflict, the minister stressed. The law stipulates that "Israel is the historic homeland of the Jewish people and they have an exclusive right to national self-determination in it". The bill also includes additional racist amendments, where the most important article defines Jerusalem as Israel's unified capital . Another article says the state considers the development and promotion of Jewish settlements as a " high national value" and will act to encourage and promote its establishment.